Graduating college and embarking on the next phase in life is a major milestone. It is likely that many things are about to change. While you may no longer have to stay up late cramming for an exam, your post-school life will pose many new challenges and opportunities. Getting your finances in order early on can make things a lot easier for you down the road. 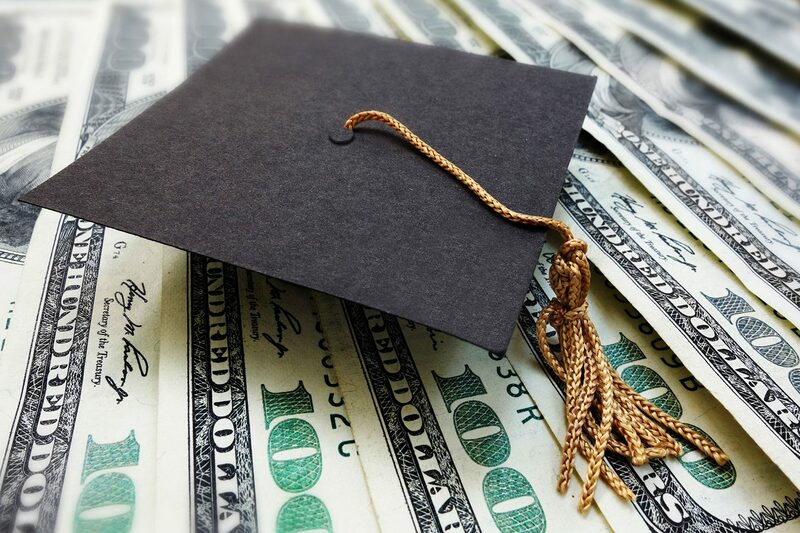 Follow these tips to making good financial decisions after you graduate, and continue to reap the benefits for years to come. One of the most important things you can do when you land your first job out of school is make a budget. While it is very exciting to earn a legitimate income for the first time, a budget will keep your spending on track and help you live within your means. Base your budget on your take home pay, not your salary—once taxes, health insurance, and 401(k) contributions are deducted, the amount on each check will be a lot less than your gross pay. Start by accounting for fixed monthly expenses such as rent, utility bills, and any debt payments. It’s okay to include some discretionary items in your budget like entertainment and dining out, just make sure you choose an acceptable amount for this type of spending and stick to it. If you are like most college graduates today, you’ll be exiting the graduation stage with a pile of student loan debt in addition to your diploma. It is critical to get a handle on your repayment plan as soon as possible. Typical loans require payments beginning six months after graduation. If you don’t begin paying them when they are due, it could be devastating to your credit and your financial future. It may be wise to seek out a professional to discuss your options. Consolidating loans and finding the best interest rate could be to your advantage. Some loans give you more time to pay, but can mean you are paying a larger amount. Although student loans are generally considered “good debt,” it is still a good idea to pay them in full as quickly as you can. If you have debt in addition to your student loans, it can make your payment plan even more overwhelming. Generally speaking, you should pay off debt with the highest interest rate first. Credit cards typically carry a much higher rate than student loans. Make sure you are making minimum monthly payments, but prioritize paying off your most expensive debt first. If you are lucky enough to not have debt coming out of school, be mindful to avoid it moving forward as well. Another important practice to implement is building an emergency fund. A good goal to aim for is at least three months of your salary-if you can increase it to six months or a year, that’s even better. Sooner or later you may have an expense arise that you are not able to pay for out of your typical earnings. An emergency fund can help you avoid accumulating unnecessary debt if such an expense occurs. It may seem counterintuitive to accumulate additional monthly payments when you are trying to pay off debt and stick to a responsible budget, but purchasing insurance can protect you from a devastating financial blow. Auto insurance, renter’s or homeowner’s insurance, health insurance, and life insurance are all very important to have, even at a young age. Most people have auto insurance, but check to make sure your coverage is appropriate for your needs. If you rent, you should have renter’s insurance to cover your personal belongings in the event of a fire, theft, or other disaster. Typically, if you obtain this type of coverage from the same company that insures your automobile, it is extremely inexpensive. If you purchase a home, you will want to make sure you have adequate homeowner’s insurance coverage. Even though you may be young and healthy, health insurance is still vitally important to your financial future. With the cost of medical care today, an unexpected accident or illness could translate into medical debt that follows you for the rest of your life. If you don’t have coverage through your employer, make sure to find a plan elsewhere. A high deductible plan may be a good way to keep monthly payments down, but still provide substantial protection. You may even be able to stay on your parents’ plan until you turn 26. Many people see life insurance as unnecessary until you have a family to provide for. The truth is, purchasing coverage now while you are young and healthy could help you lock in lower rates or avoid being unable to purchase insurance later if you have health issues that arise. Since you are just entering the workforce, retirement is probably the last thing on your mind. That being said, it is an enormous mistake to ignore retirement planning until later in life. If you start putting money in a retirement account in your 20s, there is a much greater chance that those dollars will grow into something significant. If you have an employer-sponsored retirement savings plan, such as a 401(k), your contributions are made pre-tax, thereby reducing your taxable income. If your employer offers a match for the contributions you make, take advantage of the opportunity and contribute enough to get the full match amount. Your credit score may not seem that important right now, but when you want to take out a car loan or a mortgage in the future, it can be a pretty big deal. Making choices that will positively affect your credit now, could pay dividends for you later in life. A bad credit score could even hurt your chances of getting a job or renting an apartment in the future, as employers and landlords frequently obtain applicants’ credit reports. If you don’t have a credit card, you should consider applying for one and using it responsibly. To start out, just use it to purchase gas, groceries, or some other necessity, and pay the bill in full each month. It is also very important to make sure you pay all bills on time—a single late payment can hurt your credit. Monitor your credit reports periodically to make sure things are as they should be. While being responsible for all of your own finances for the first time can seem a bit daunting, if you make good choices now, you will thank yourself later! Contact your district representative or the Home Office at (800) 779-1936 or info@nmblife.org if you would like more information about purchasing life insurance coverage.